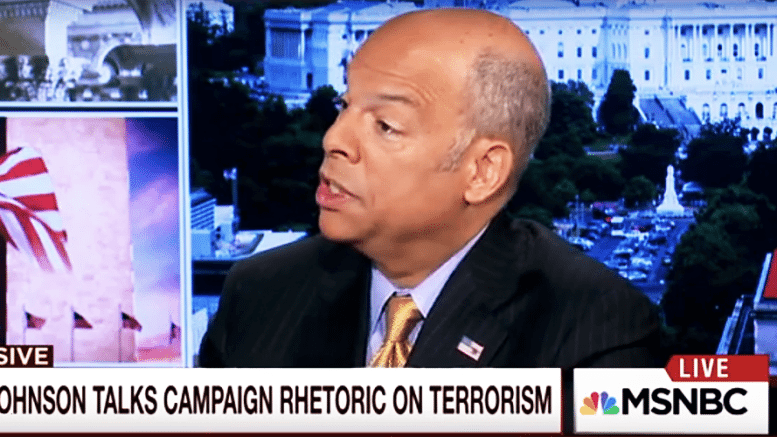 On Monday’s edition of the Morning Joe program, Homeland Security Secretary imposter Jeh Johnson was invited on to regurgitate his latest focus, one which he was also spewing in an appearance days earlier in a speech at Harvard. He’s focusing on his pro-pandering policy towards Islamist of all stripes, be they peaceful model citizens or plotting jihadists. This pro-Islamic regime’s approach is that Americans are supposed to pander, to pay off terrorists to prevent them from attacking us. That’s called payola, rewarding the criminal behavior and threats of violent extortionists, Mr. Secretary. 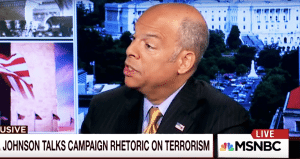 Johnson objects to the characterization that Obama is disengaged from the terrorist fight and repeats the same line he’s been blabbering since he came onboard at DHS. They’re worried about the “sophisticated ISIS” and their ability to inspire terrorism and in doing so, he transfers his responsibility for security to the average everyday American. We need to “remain diligent” and “if we see something say something.” Johnson sees nothing, and everything he does is in an effort to diminish our nation. It’s his cover for not doing his job and instead doing the exact opposite, importing unknown persons from terrorist nations despite having a total awareness, which he has admitted, that we have no ability to properly vet them. It is a crap shoot of the most reckless order, and none of these talking bobble head hosts dares to ask the question for fear the “great Secretary Johnson” will decline future interviews. Scarborough asks “How actively involved is ISIS in trying to launch an attack or a series of attacks on the homeland?” and a couple of other questions afterwards to which Johnson plays the “brain tape,” repeating the same non-answer generalizations about “the new era” of terrorism, an era for which he and his Obama comrades are importing and empowering the foot soldiers. He disagrees, although it’s a laborious process to get him to admit it, that it is prudent to withhold entry to Muslims despite the holes in the system. That admission came in regards to the position they read of Ted Cruz of having our counter-terrorism resources expended where common sense tells us the need is, in Islamic neighborhoods. That’s the opening Johnson uses to peddle his flavor of the month, the trip he made to ADAMS mosque after the San Bernardino attacks and his payola to prevent more of the same. 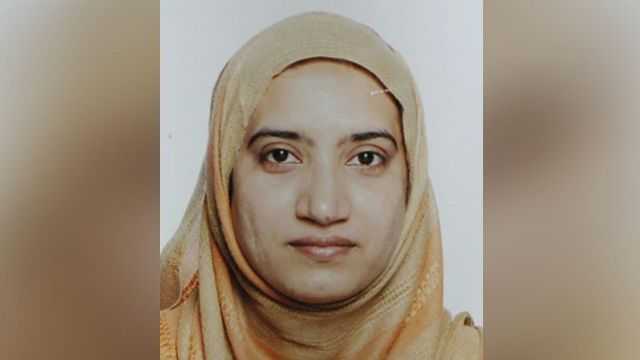 Johnson has been virtually invisible since the Paris and San Bernardino attacks. For him to crawl out from under his rock now, at Harvard and on MSNBC, urging in both that we support him in his Islamic embracing and cash payoff program, signals a new offensive in the pro-Islamic push to import massive amounts of non-Christians in order to establish the North American Caliphate and destroy the Constitution in the process. The Constitution and Sharia Law conflict as to which is the superior authority and cannot coexist. It’s clear to see which is losing under the current regime. They come down on the side of Sharia Law for America. We are committed to keeping our Constitution.